Lynn Morgan is a leading producer in the Real Estate Industry for over 13 years. Lynn specializes in residential homes, townhouses, condos and land sales. 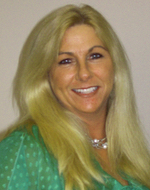 Lynn has extensive knowledge of the entire Myrtle Beach area, Grand Strand and Carolina Forest Community. If you want proven results with a proven track record please contact Lynn Morgan, the right guide.